Home » Chin-lung Hu , Infielder , Los Angeles Dodgers , New York Mets , Trade » What does Chin-lung Hu's acquisition mean for the rest of the Mets infielders? What does Chin-lung Hu's acquisition mean for the rest of the Mets infielders? 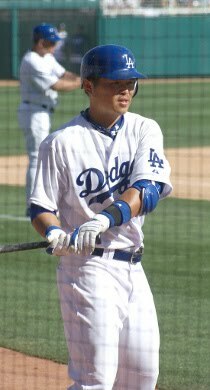 With the New York Mets recently acquiring Chin-lung Hu from the Los Angeles Dodgers, what implications does it have for the rest of the Mets utility infielders? Click here to read some thoughts and analysis of the rest of the Mets players in competition with the former Dodgers top prospect.